With the new 2014 season about to kick off in Monte Carlo, I took a look back at my first Monte Carlo experience last year, at the start of 2013. And give us a brief idea of what the drivers could be up against this week, when they ready themselves on the start line to tackle one of the toughest and most glamorous events on the calendar. Monte Carlo. One of the most famous, long standing Rallies in History. The event first started in 1911 and is regarded as a true Rally Classic and is one of the oldest & most demanding Rallies on the calendar. 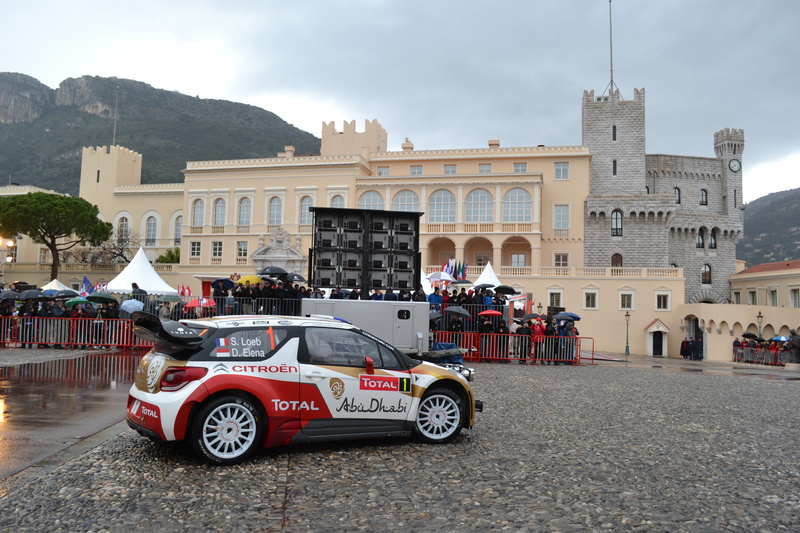 The rally now takes place along the French Riviera in the Principality of Monaco and within the south of France. Previously, before the World Rally Championships was formed in 1973, competitors would set off from all four corners of Europe and ‘rally’, and navigate their way to the finish in Monaco. The Rally has always been in difficult and demanding condition. For manufactures it was a means of testing the latest improvements and innovations to automobiles. Winning the Monte gave the car & driver a great deal of credibility & publicity. The most famous story from The Monte’s history was back from 1963. When Paddy Hopkirk & Henry Liddon took a Mini copper into competition and Won the event, beating faster car. It was there that the mini Copper became an icon. 50 Years on and it’s my turn to visit this legendary event. 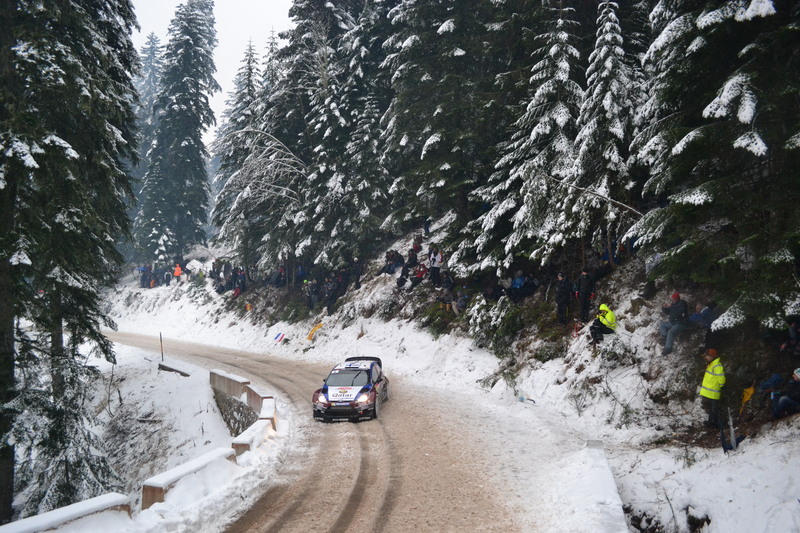 ‘The Monte’ has to be on the list of ‘must do’ Rallies on any Rally Fans list. Strangely I’ve always been slightly put off by the difference in the layout of this rally compared to others. But I knew that on the start line of 2013, there would be a lot of new changes. The biggest change, being in the form of a Brand new Team & Manufacture entering the championship. After 18 months of testing & development, Volkswagen were ready to hit the world stage. Equipped with the Polo R WRC car. Drivers Sebastien Ogier & Jari Matti Latvala. And a mega load budget, this new team were in it to win it. I couldn’t miss this! So, on January the 15th, it was on the Plane and on to round 1 of the 2013 World Rally Championships! Despite a lot of Journo’s saying it would take time for this new team to ‘break in’ to the sport. I had a feeling these guys had to be taken seriously. And it wasn’t long before they proved me correct. On Stage 1 Ogier was super-fast with the Polo, straight out the box, and incredibly WON the first stage of the rally, even beating the semi-retired Monte Master Sebastien Loeb. VW never let that get to their head. They stayed focused and were well in the fight for the victory. Yes, I said for victory. 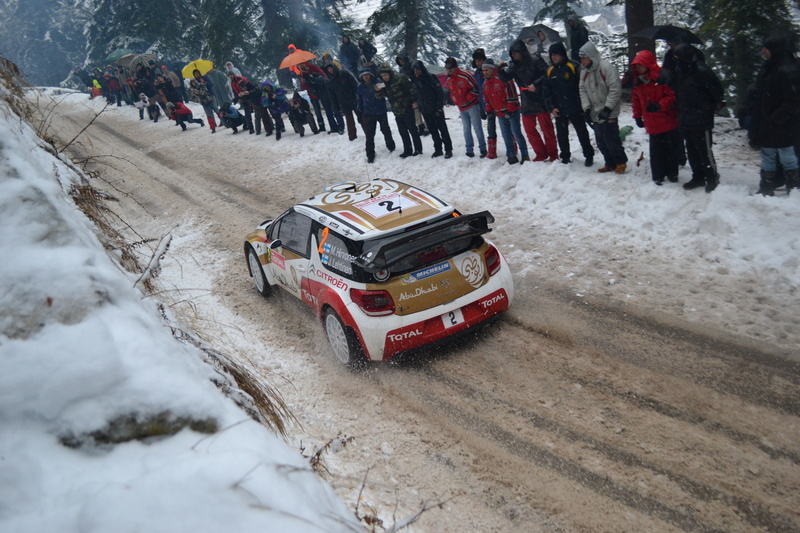 Battling Loeb and by the time they got to Day 3 of the rally. Volkswagen & Ogier held 2nd place, a minute and a half away from leader Loeb. Monte Carlo was certainly an interesting experience for me. After enjoying the sun and views of Nice & the Cote de Azure. We visited Sisteron stage on day 2. Then after a failed attempt at ordering a Big Mac in French at a stop off at MacDonald’s, it was off to one of the best roads & Rally Stages in the world. A dream of mine was always to drive the famous ‘Col de Turini’. It’s a very narrow ribbon of tarmac that twists and bends its way up one side of the mountain and back down the other side. With Massive cliff edge drops, tight never ending hairpin bends, changing conditions, this road is relentless & dangerous. Perfect for a WRC car. My good friends at Rally Travel had booked us the only two hotels at the very top of the Turini. Then drove us up the Col albeit in our VIP mini bus, in the dark just before the French closed it off to the rest of the world, to prepare it for the 3 runs that the WRC cars will make over it the next day. You could see the fans already getting their camps ready and finding their spot, a day before it was set to start. We made it to the top, and I can tell you it was a truly fantastic drive. At the top there was a real atmosphere, as the hospitality tents, Grand stands & barriers were being set up, there was a real buzz about the place, despite being on a top of a cold dark wet mountain in the middle of nowhere. Although disappointed that we hadn’t yet had any snow or ice. – Snow is what turns the Monte from a tarmac blast into a real classic, and a real challenge. Snow on these roads really separates the men from the boys. But anyhu, off we went to check in to the Hotel. As we walked into what was kind of a posh shack rather than a hotel. The bar and reception area was full of Rally Memorabilia. Posters, Pictures, Plaques, every inch of the walls, ceilings and furniture was full of history. After a wonder round the hotel, we finally got the keys and went to bed. As I say it wasn’t the most luxurious hotel. The sort of place where Electricity seemed to be a newly found modern thing. And you can forget about having a shower or bath. The trickle of water that dripped from the tap was barely enough to brush your teeth with. But despite this, it was a fantastic place to be. And I wouldn’t want to be staying anywhere else. This was the perfect place. This is after all, proper rallying. Waking up the next morning, I Just about brushed my teeth, opened the curtains and suddenly I was blinded! A Bright white light bleared through the window. BRILLIANT!!! We had snow. Tons of it! The timing couldn’t be better. So all wrapped up like an Eskimo, we headed out of the hotel on to the Col de Turini for a ‘Recce’. But First Neil gathered us for the all-important RallyTravel group Photo on the Col. Just at that moment, Super Snapper Colin McMasters appeared. This man is a brilliant photographer, and has produced some fantastic books over the years. Ex F1 snapper he started in WRC in 93 when he became close mates with Colin McRae. Still snapping every event he made it to the Turini. Well, sort of. He asked Neil for our help to “push the car on the road”. I didn’t really get what he meant by that until we walked round to the small track behind the hotel, and there was their car, with the back half hanging over the edge of the cliff! Heart racing, My ‘Off-Road’ skills came to play. I got everyone to grab branches from the trees to stick under the car’s front wheels, for traction and with someone sat on the bonnet to get the weight down and to stop it falling down the edge of the mountain. Reinhard Klein, who was bravely still sitting in the car like it was nothing, put his foot down and together we managed to pull the car back on to the mountain and up the road to safety. All this action, and the Stage hadn’t even started yet. Minus something degrees. We walked a few Kilometres to find a good spot for the first run through the stage. Speccy spots were hard to find as the road was so narrow and buried in snow. We found a good spot up on a wall, high on a bank in front of a fast long sweeping right bend before the very top. Opposite all the fans with their BBQ’s and fires. Which I was impressed with, considering the fires were in the snow. The WRC cars made their way up the Col, really struggling to get the grip on the Snow and Ice below it. Engines burbling and echoing between the snowy Fur trees high up the mountain. The smell of BBQ’s, the sound of cheers and chants. Plus the odd fire work & snowball fight. This was a true Monte Carlo Rally. Just the way it should be. Must say, seeing the new Polo R in action properly for the first time was a great sight, sliding around the long bend, kicking up the snow behind. It was certainly a fans favourite judging by the noise. But the best of them was of course the driving God himself, Sebastien Loeb. Looking so smooth, even in conditions that we could no longer walk on. Watching his DS3 Dance on the ice, it was more like ice skating than a Rally. It was slow progress and hard work trying to walk back up to the top towards our hotel. Putting in context just how skilful these drivers are at racing in these conditions, we managed to skate our way back to the warmth of the hotel. There we enjoyed dinner. Joined by Seb Loeb’s fan club and family on the other side of the room. We tried to find a more… comfortable and warm spot for the next run through. We had heard that WRC TV and Rally Guru Julian Porter had set up a film crew on one of the balconies of our hotel. So after finding which Rally Travel client had that room, they very kindly offered to let us go out on their balcony for the next run through. The Atmosphere was unbelievable. By this time it was dark, and the flares, fires & fireworks were in full flow. The singing the chanting. And the slight amusement of watching everyone fall over as they tried to make their way across the ice. Being at the top of the Turini was certainly something I will never forget. 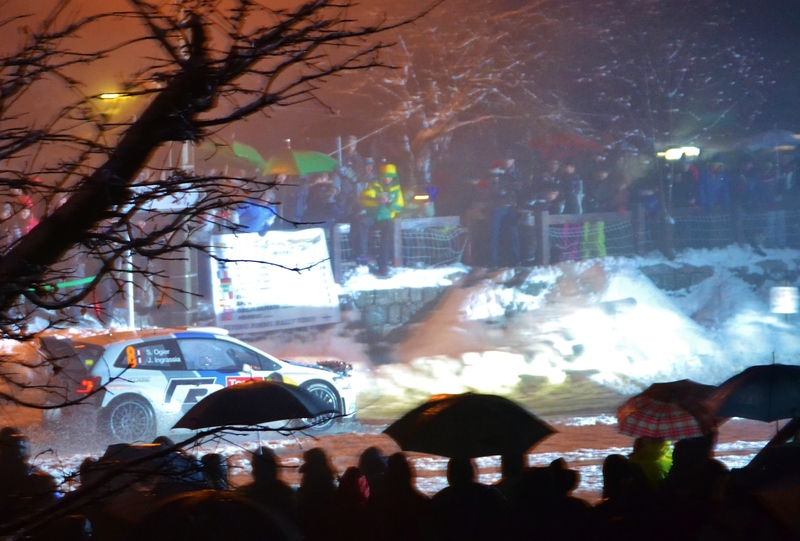 Then in the Noise of the fans, the unmistakable sound of a World Rally car worked its way towards the hotels. Through the snow, ice and fog from the flares. The entire top of the Turini turned into a big red glow of excitement in the snow. It was a truly magical sight. It was like a concert, but instead of a band, it was a half a million pounds worth of Rally car making the music, dancing its way through the corners and across the top of the Col, past the hotels and back down the other side. But Mads, on this 2nd run spun the car and took some damage, but managed to crawl through and make it back to service for repairs. This really was the ultimate test of skills for these boys, and with the melting slush and snow starting to refreeze, turning everything into a polished ice rink, the conditions were getting worst. During the final service which took place in Monaco, the FIA and the Rally Organisers took the decision to cancel the final run through the stage based on safety grounds for both the crews and the spectators. That meant that it was the end of the rally. 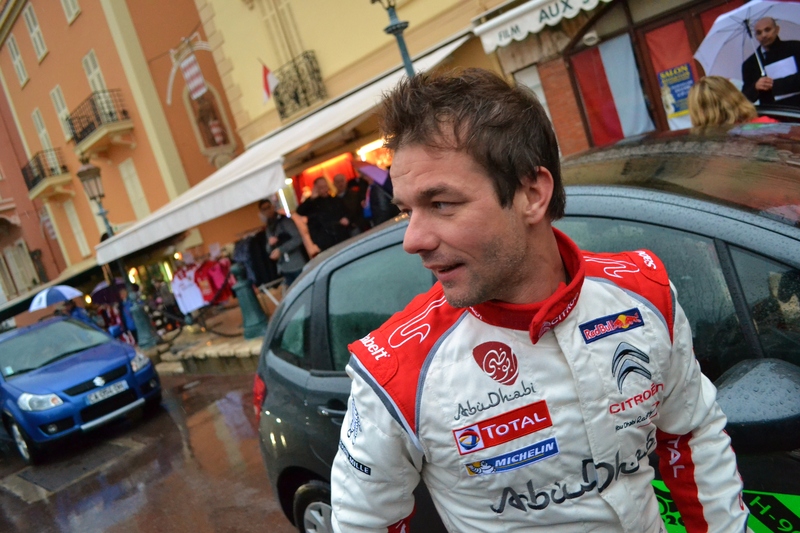 And The winner?…… It was of course the 9 times Champion, Sebastien Loeb. The Monte master did it again, and in these conditions it was well deserved. But taking the headlines on round 1 was Volkswagen. 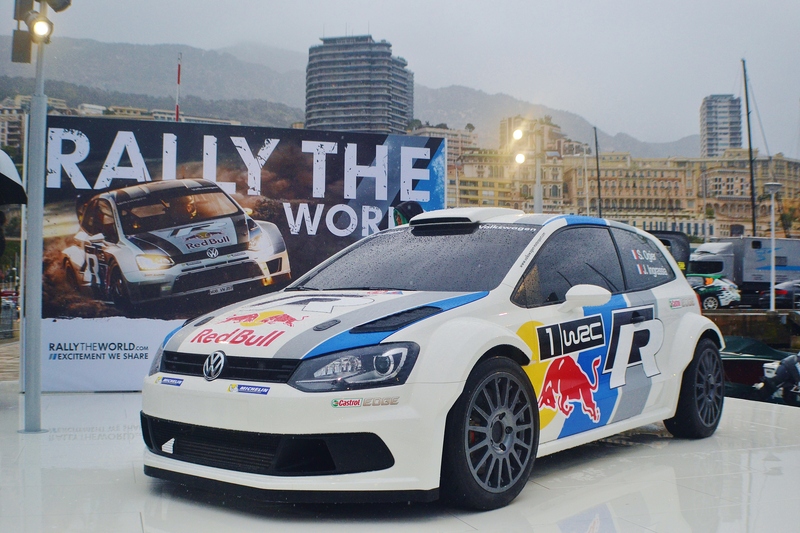 First ever Rally in WRC and they – along with driver Ogier, Claimed 2nd place. A truly impressive drive by the new team. In what was one of the toughest Monte Carlo Rallies for a few years. Loeb is only doing 4 events which means VW & Ogier put themselves into a brilliant position for the championship. That night we headed to the hotel bar, which was full of fans, photographers and some of the VW guys who set up the special hospitality tent. We met and spoke to some very interesting people there, of course all this was new to the VW guys. So we chatted until we drank the bar dry. No really! We did drink every last bit of alcohol they had. Then it was back to bed. The next day, we made our way down the Col de Turini, this time in the daylight, and stunned by the road once again and the incredible views of the mountains, trying not to think about the huge drops just an inch away from the wheels of the bus, it was off to Monaco for the finish. Monaco is a truly fascinating place. A totally different world. The world of the rich, with the multi million pound yacht’s, the little dogs in gold crested diamond handbags and the unbelievably overpriced branded shops and, the huge hotels, the supercars that were being driven around the streets (I’m pretty sure you would be arrested if you drove anything cheaper than an Aston Martin!) the massive world famous Casino square and not forgetting the outdoor escalators, because steps are just soooo last year. We took a drive around the F1 track, which by day is just a normal road for the very rich general public. Then we checked in our hotel and headed to the usual finishing ceremony high above the harbour. After the spray of Champaign, it was off for a lovely dinner at Stars n Bars. (The only affordable restaurant in the principality) Then off to the after rally party with the WRC teams and drivers. 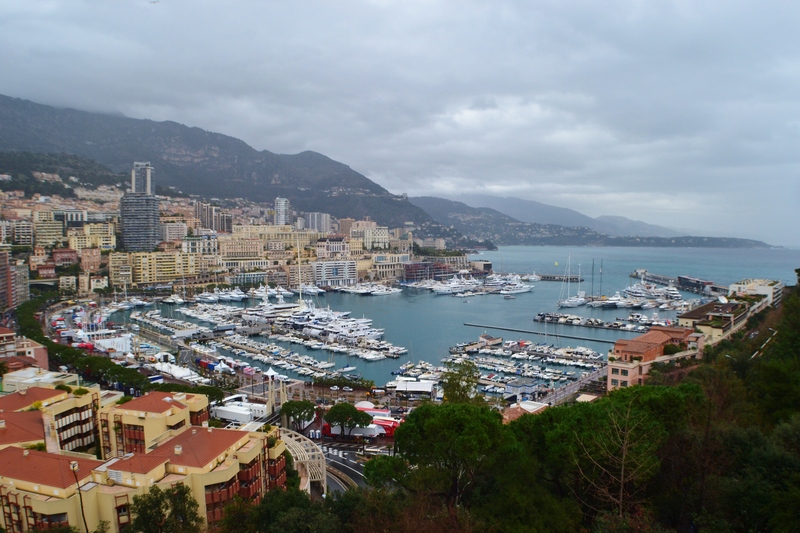 The 2nd Bar we hit was the famous La Rascasse Bar, which is on the final corner of the F1 track. What a brilliant start it was to the 2013 season. Merci Monaco. Now it’s 2014, and like last year, we have an exciting start to the season. With returning champions Volkswagen. And a Brand new team Hyundai Shell world rally team, to add to the fight, along with Citroen and M-Sport. 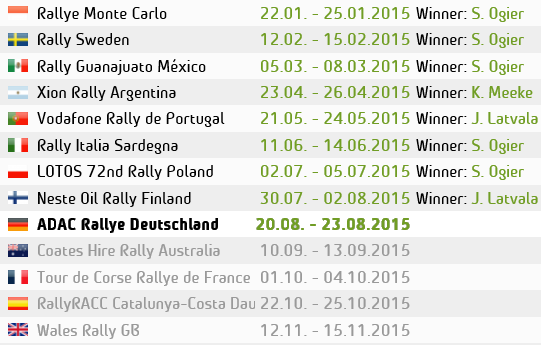 It seems that the WRC is getting back to its best. WRC 2014 here we go!….. This entry was posted in Dan's WRC Blog, WRC Features and tagged Blog, Citroen, ford, France, Monaco, Monte carlo, rally, Rallytravel, Volkswagen, WRC. Bookmark the permalink.